Since 1976 Northeast Taxidermy Studios has mounted thousands of fish for serious anglers around the world as well as the top marinas, charter boat captains, professional athletes and Hollywood celebrities alike. 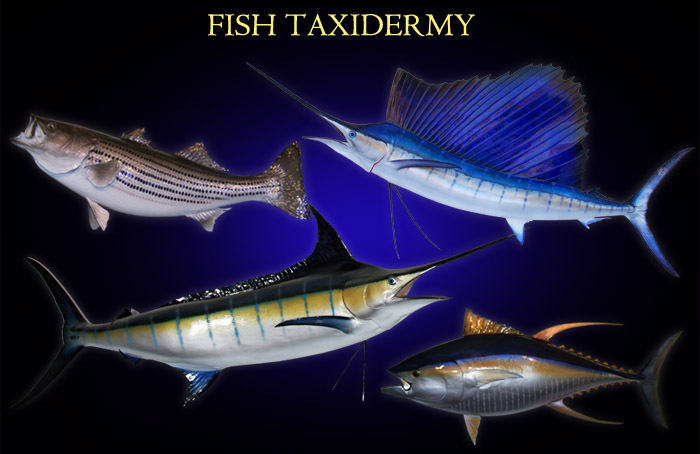 Our fish mounts, which have earned an international reputation, are the reason we are one of the largest marine taxidermists today. Whether it be a recent trophy or one caught years ago, just call us with the type of species, a length and girth measurement, and we will match it exactly! We have over 1,500 fish molds of all sizes and species in high action anatomical poses in stock, ready for immediate shipment to your home or office.